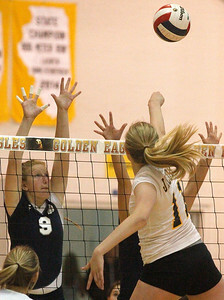 Matthew Apgar - mapgar@shawmedia.com Jacobs's Bridget Wallenberger, right, sets the ball up as Alli Splitt of Cary-Grove defends during their girls volleyball match on Thursday, September 17, 2015 at H.D. Jacobs High School in Algonquin. Matthew Apgar - mapgar@shawmedia.com Delaney Bayer of Cary-Grove celebrates a point against Jacobs during their girls volleyball match on Thursday, September 17, 2015 at H.D. Jacobs High School in Algonquin. 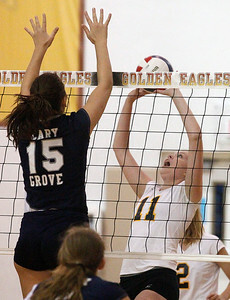 Matthew Apgar - mapgar@shawmedia.com Jacobs' Bridget Wallenberger hits the ball over the net as Maddy Katchen, left, and Ally Vasquez of Cary-Grove, back right, defend during their girls volleyball match on Thursday, September 17, 2015 at H.D. Jacobs High School in Algonquin. Matthew Apgar - mapgar@shawmedia.com Delaney Bayer of Cary-Grove dives for the ball during their girls volleyball match against Jacobs on Thursday, September 17, 2015 at H.D. Jacobs High School in Algonquin. 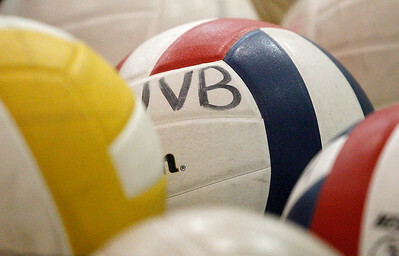 Matthew Apgar - mapgar@shawmedia.com Volleyballs are gathered in a basket during the girls volleyball match between Cary-Grove and Jacobs on Thursday, September 17, 2015 at H.D. Jacobs High School in Algonquin. 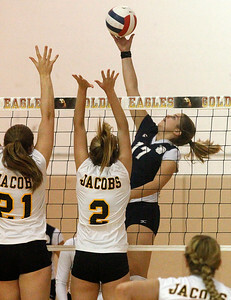 Matthew Apgar - mapgar@shawmedia.com Ally Vasquez of Cary-Grove hits the ball over the net as Jacobs' Rachel Holstein, left, and Paige Queffelec defend during their girls volleyball match on Thursday, September 17, 2015 at H.D. Jacobs High School in Algonquin. 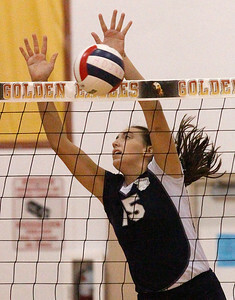 Matthew Apgar - mapgar@shawmedia.com Alli Splitt of Cary-Grove defends at the net during their girls volleyball match against Jacobs on Thursday, September 17, 2015 at H.D. Jacobs High School in Algonquin. 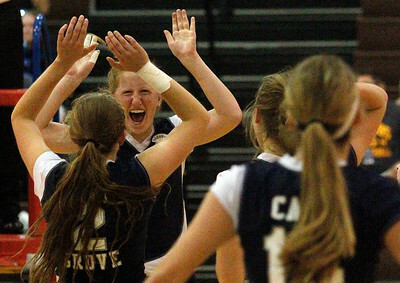 Matthew Apgar - mapgar@shawmedia.com Maddy Katchen of Cary-Grove, back left, celebrates the winning point against Jacobs during their girls volleyball match on Thursday, September 17, 2015 at H.D. Jacobs High School in Algonquin. Delaney Bayer of Cary-Grove celebrates a point against Jacobs during their girls volleyball match on Thursday, September 17, 2015 at H.D. Jacobs High School in Algonquin.